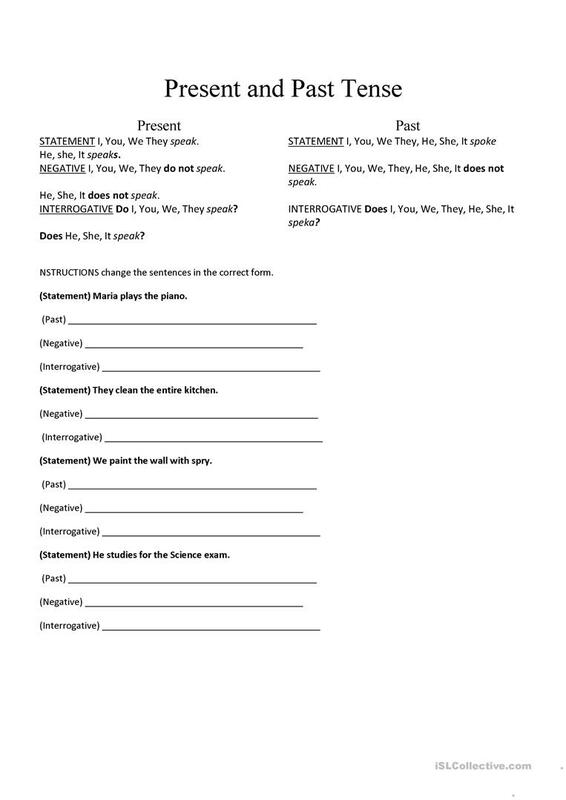 Practice forming statements, negative and interrogative sentences in Simple Present and Past Tense. The present downloadable teaching material is intended for business/professional students, high school students, elementary school students and adults at Beginner (pre-A1), Elementary (A1) and Pre-intermediate (A2) level. It is aimed at practising Verb tenses in English, and is a valuable material for enhancing your learners' Writing skills.